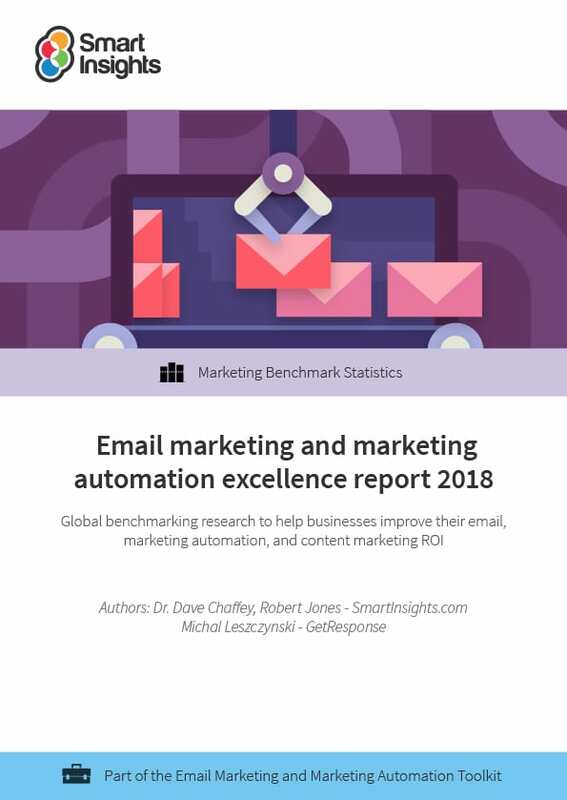 In this report, we assess the current state of email marketing and marketing automation based on a major research study surveying email marketers from a range of business sizes and sectors around the world. By comparing the techniques used by other businesses, you will be able to identify improvements. Review their strategic approach to email marketing, by comparing best practices with how they use techniques and features. Learn best practice email marketing techniques, and see what’s possible. Spot opportunities for marketing automation. Consider landing pages for lead generation. What does this report show you? 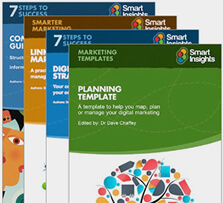 This research report was created by Smart Insights, publishers of actionable marketing advice, and GetResponse, all-in-one online marketing platform. This report provides a benchmark to compare your email marketing, marketing automation, and landing pages. We assess the state of email marketing and explore how businesses use marketing automation, highlighting the features you might like to try too. The analysis is based on a major research project surveying 585 respondents, many of whom are at a senior level and represent a mix of B2B (19%) and B2C (44%), with 37% working across both. Managers responsible for digital marketing. See how email marketing and automation is essential compared to other channels – and how to successfully manage it. This paves the way to in-depth discussions with email specialists, so you can align automation with your communications goals. Email marketing and automation specialists. Discover the optimization techniques you can use to get better results. You’ll also find the report useful if you’re a consultant or agency that advises companies and implements marketing automation programs. First, we compare email marketing with other digital marketing channels. Next, we break down best practices for improving results – and how businesses are using them. We then explore marketing automation, and wrap up with a look at how landing pages are used for lead generation. This report was produced by GetResponse and Smart Insights.